What’s a Super Bowl without tasty beer? Atlanta, GA takes up around 132 square miles with just shy of an estimated 500k residents. This Sunday that population is going to grow significantly as professional sports’ greatest party comes to town for another chapter of the Boston vs Los Angeles rivalry. Names like Sweetwater, Terrapin and Creature Comforts will be familiar to craft beer aficionados nationwide. Wikipedia lists exactly 50 breweries doing business in the great state of Georgia currently, but in this article we’re going to focus on the breweries in Atlanta proper. Mercedes-Benz Stadium, home of Super Bowl LIII, is right smack in the middle of Atlanta and is “Beer Adjacent” to some of the states best breweries. We used the cumulative Untappd ranking to sort Atlanta’s breweries and kept it to the Top 5. Some of you may be surprised to see that none of Georgia’s most recognizable breweries made the list. Both Terrapin and Creature Comforts are in Athens, GA, close to 2 hours away from the heart of the ATL and Sweetwater’s Untappd ranking of 3.64 only took it to the rank of 13th (just behind Second Self and just ahead of Eventide). So whether you’re going to be lucky enough to be present in Atlanta for the national holiday known as Super Bowl or if you’ll be forced to live vicariously through this list, here is your reference for the best breweries in Atlanta! 5. 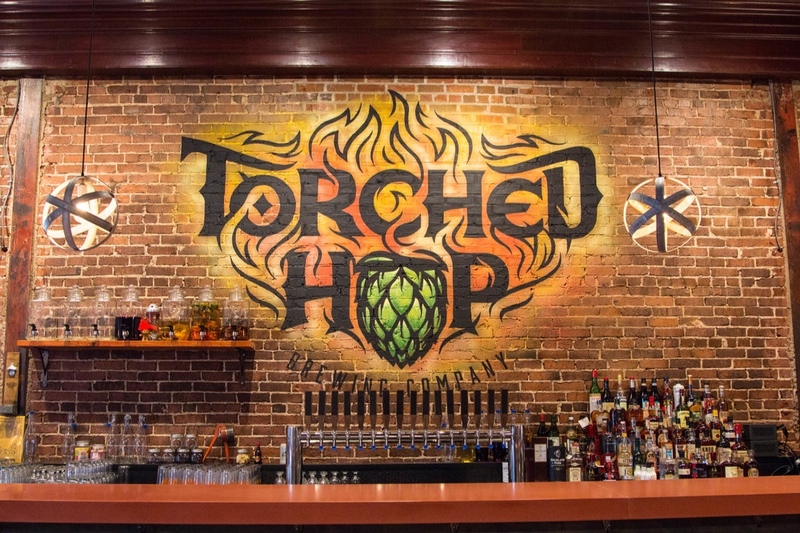 Torched Hop Brewing Co. Founded by Atlanta natives Chris and Stephen Bivins, Torched Hop’s brew pub is a gorgeous wood and brick walled environment with vibrant art and guest amusements such as bocce ball. In addition to 20 rotating taps pouring house made brew, Torched Hop also features a full bar and food offerings such as charcuterie, tempura avocado and roasted bone marrow with chimichurri. In the heart of Atlanta, overlooking Piedmont Park and the Atlanta Beltline, you’ll find Orpheus Brewing. Founded in 2011 by Jason Pellett, Orpheus is a microbrewery that focuses on new hops, wild fermentations, and barrel aged brews. Three Taverns’ story begins in Europe in the summer of 1994 when Brian Purcell, Three Taverns’ founder, and two friends unexpectedly ended up in Belgium on the night of Brussels’ Ommegang festival (like you do). It was here that Purcell discovered the wonder of the beer brewed by Trappist monks that is the basis of Three Taverns’ offerings today. Almost two decades later, Three Taverns’ first beer was officially poured at their location in Atlanta suburb Decatur. Located in the basement of the historic Victor H. Kriegshaber House in the Inman Park neighborhood on Atlanta’s east side, The Wrecking Bar Brewpub was voted Best Brewpub in Atlanta from 2011-2014, as well as #1 Best Bar in Atlanta by Atlanta Magazine. 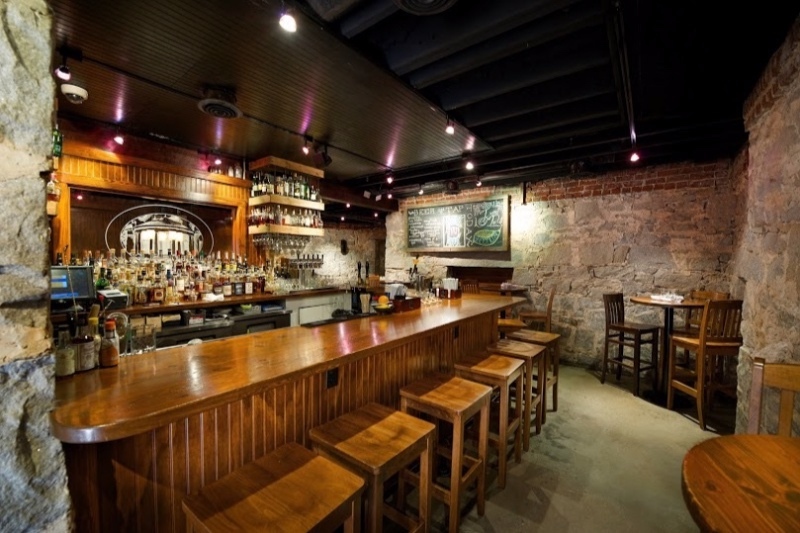 In addition to their extensive selection of beers, The Wrecking Bar also offers a signature cocktail and whiskey menu. A 7 barrel brewing system offers fresh brews through 15 taps and even up to 30 beers on tap during special occasions (cough Super Bowl cough). Scofflaw can trace its origins to the basement of founder Matt Shirah’s mother-in-law back in 2015. Shirah, along with brewmaster Travis Herman, have evolved that home-built basement brewery project into a 18,000 square foot brewery in the Bolton neighborhood on Atlanta’s westside. Now with an annual capacity of 12,000 barrels, Scofflaw has yet another expansion in the works featuring a 50 barrel brewhouse.